Find below the list of top schools in Delhi Cantonment - Delhi with phone number, address, 360° School tours, 2018-19 Admission forms & Fees, photos, facilities & more. 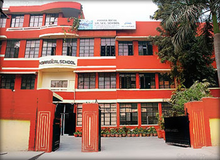 Springdales School Dhaula Kuan is located in Delhi Cantonment, Delhi. It was established in 1956. This school follows the CBSE board. The school has English medium. 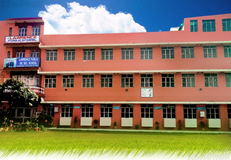 Mount St Marys School is located in Delhi Cantonment, Delhi. It was established in 1963. This school follows the CBSE board. The school has English medium. Army Public School Dhaula Kuan is located in Delhi Cantonment, Delhi. It was established in 1953. This school follows the CBSE board. The school has English medium. Deep Parmarth Secondary School Is One Of The Top Schools In Delhi. EduraftS Ranking For Deep Parmarth Secondary School Istier-B. Deep Parmarth Secondary School Is A English Mediumschool. The School Was Founded In The Year 1992 And It Is Affiliated To The Cbse Board. The School Is A Co-Educationschool And It Has Classes From 1 To 10. Choosing the right school for your child is a process which requires plenty of analysis. Just knowing the names of the top schools in Delhi Cantonment - Delhi is not enough. You need to know about the location, fees, admission procedure and other details. That is why Sqoolz brings you a definitive list of best schools in Delhi Cantonment - Delhi. With our brilliant virtual tour feature you can get to know visually about all the schools before entrusting your children with them.